The Moon is in Libra until Sunday, April 29, 2018 at 3:11 AM EDT. This remains a challenging time as the Mars conjunct Pluto aspect is still very much active and present in our day. Today these two planets remain exact, so nothing has changed on that front. In addition, the Moon has three (3) aspects roughing us up and ruffling our emotional feathers. Make certain you click back a day and re-read yesterday's Daily Horoscope to remind you of just how intense this energy is so you monitor your actions and reactions accordingly. The first lunar aspect is with us as we wake up in the morning causing us to wake up on the right side of the bed. Even though the the Mars conjunct Pluto aspect is still very much present, this lunar aspect eases tensions so early in the morning. We feel light, charming and personable. Women are easier to get along with during this aspect. The second aspect today is the Moon square Saturn, which is the epitome of 'emotional insecurity'. It can make you feel unLoved, it feels unacknowledging and it feels lonely, moody and depressed. Since you will likely feel this energy before it hits and for about 12 to 14 hours after its exactness, make certain you recognize that it is only this aspects presence that gives you this 'inferiority complex'. As each hour ticks by, this aspect will gradually lighten up. The last aspect to occur is the Moon opposing Mercury which has a hard time communicating. This is NOT the time to say, "Honey we need to talk." At least wait until Sunday to have a serious conversation because then everyone's head will be screwed on straight, even in the midst of such challenging energy. The Moon opposing Mercury can cause you to make bad decisions, while at the same time over-eating or not eating at all due to nerves. Common sense seems to just go out the window. Take it easy on yourself and others today. Just give everyone a break on their 'crazy' today. 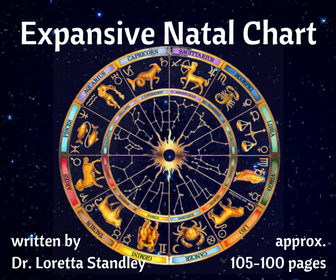 Download the 'Moon Trine Venus' chart wheel here! The Moon in Libra trine Venus in Gemini at exactly 2:48 AM EDT. You will feel this energy within 12-14 hours 'before and after' it occurs. The Moon in Libra square Saturn in Capricorn at exactly 1:21 PM EDT. You will feel this energy within 12-14 hours 'before and after' it occurs. 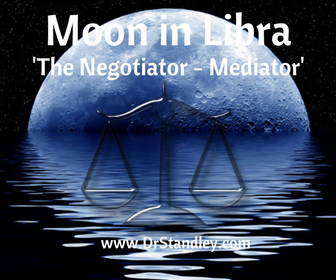 The Moon in Libra opposing Mercury in Aries at exactly 4:17 PM EDT. You will feel this energy within 12-14 hours 'before and after' it occurs.